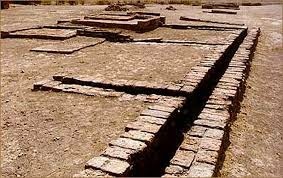 Lothal is one of the most prominent cities of the ancient Indus valley civilisation. It is located in Bhal region of Gujarat. Lothal is situated near the village of Saragwala in the Dholka Taluka of Ahmedabad district. Lothal is 78 km from Ahmedabad. Buses from Ahmedabad take 3 hours. The origin and history of Lothal can be dated back to 2400 BC. 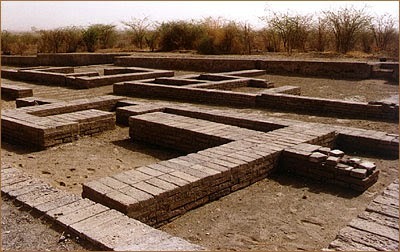 Lothal in Gujarat is one of the primary sites of archaeology. Though, it was discovered in the year 1954, but its excavation work began on the February 13, 1955, which continued till May 19, 1960. It was done by the Archaeological Survey of India (ASI). 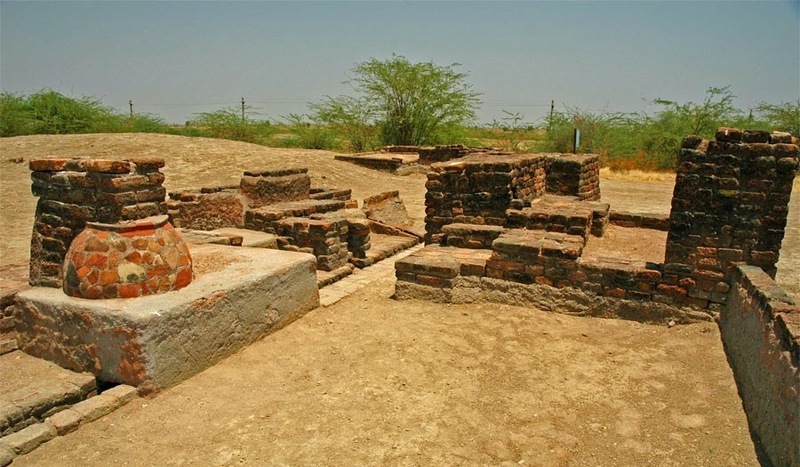 Lothal, literally “Mound of the Dead”, is the most extensively excavated site of Harappan culture in India, and therefore allows the most insight into the story of the Indus Valley Civilization, its exuberant flight, and its tragic decay. Lothal has enjoyed the status of being the leading center of trade in the bygone times. It was actively involved in the trade of beads, gems and expensive ornaments that were exported to West Asia and Africa. The techniques that were used by the people of this city brought a lot of name and fame to them. People are of the say that, the scientists of Lothal were the ones to initiate the study stars and advanced navigation. 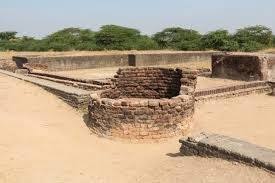 Lothal began as a small village on the Sabarmati river, inhabited by people using "red ware" micaceous pottery (similar to today’s terracotta), during the Chalcolithic era. Sea-faring merchants, and later the potters, masons, smiths, and seal-cutters of the Indus Valley Civilization, established a colony at Lothal circa 2450 BC, bringing with them their tools, technology, crafts, and expanded sea-borne trade. Lothal soon became an industrial center, one of the southernmost outposts of the Indus Valley Civilization, and the most important port of the empire. Around 2350 BC, after all the houses were destroyed by severe floods, the people of Lothal rallied together, or perhaps were led by someone, to not only rebuild the town, but also to improve on it. They strengthened the walls of the fort, raised the level of the town, built an artificial dock, possibly the first in the world, and an extensive warehouse. A hundred & fifty years later, after the next floods, they again came together to reconstruct the town into a larger city. After the third severe flood circa 2000 BC, many inhabitants left the city to move to higher and safer regions. When the city was again completely submerged around 1900 BC, what is known as the Mature Harappan period gave way to the Late Harappan Period. Poor farmers, artisans, and fishermen gradually returned in hope of rebuilding their lives, but the urban center never regenerated. The populace lived in poorly constructed reed huts, with no drainage, and perhaps even a return to illiteracy. Yet, somehow, the civilization continued here till the 16th century BC, long after it had disappeared from the northern provinces. Gradually the town was abandoned and silted up over the next few centuries. Dr. Sr. R. Rao’s excavation of the site from 1955-62 provided the most exhaustive study of Harappan culture in India from artifacts and structural remains. When the city of Lothal was excavated over sixty years ago it was found to be in a separate parts that consisted of an acropolis, a town at a lower level, and a fortress. There were also shopping markets that were excavated, factories where beads were made, sheds, workshops, portable wells, underground and surface drains, and sealed baths. The housing structures that were unearthed were made out of bricks that were sun-dried, and built over three feet high above the ground. 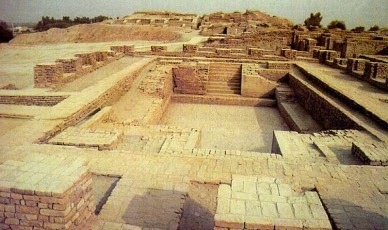 These ancient homes of the Harappan are also large tourist attractions for Lothal. There was also a wall that was excavated that was shown to be a protection against floods from hitting the town. The elevation of the homes showed the intelligence of the Harappan people as they learned how to build their homes and shops above ground. Earthenware: strong large ceramic jars, human and animal figurines, as well as toys and games-figures. Copper and stone tools: in beautiful designs of human and animal figurines, often of bulls. Lothal is very well connected to the Ahmedabad city via road and railways. The archaeological excavations that were carried out led to the finding of a township, dock, mound and a marketplace. Areas lying nearby the excavated sites consist of an archaeological museum, where you can take a look at the various Indus-era antiquities. So, if you have spare time, Lothal is a great destination that can be included in your sightseeing trip of Ahmedabad. The site is open from dawn to dusk, and entry is free. Winters are the best to travel. The museums in Lothal have some of the unique antiquities that were unearthed over sixty years ago. The museums consist of pottery, beads, figurines of animals, shells, marbles, measurements and weights, ritual burial objects, and objects made with copper and bronze. Tourists interested in earlier civilization.